plantERM, a comprehensive solution developed for the plantations industry by Aitken Spence Technologies (Pvt) Ltd., won the Gold Award competing in the category of General Applications, at the recently concluded (NBQSA) 2013. 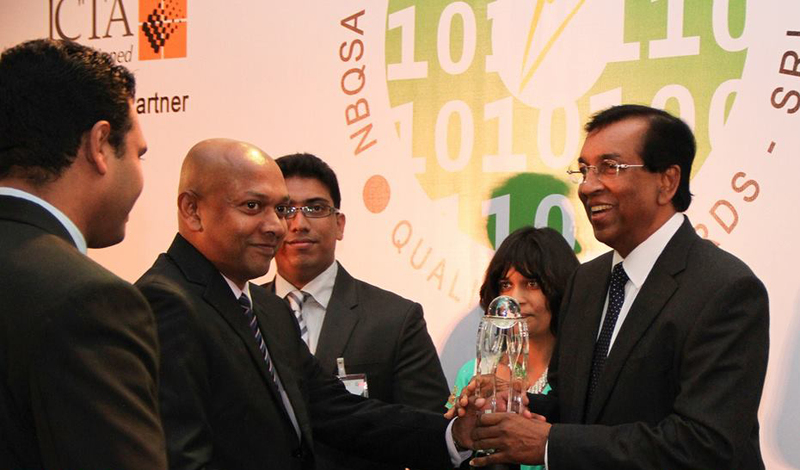 NBQSA is an annual event organized by the British Computer Society (BCS), The Chartered Institute for IT Sri Lanka Section, and serves to showcase and benchmark Sri Lankan ICT products, under sixteen commercial categories, in this globally competitive era. plantERM, which pitched against seven other solutions in its category at NBQSA, is an end-to-end solution covering, field, human resources, factory, supply-chain, marketing, financials, consolidation and KPI management of plantation operations. The solution supports multi-location, multi-tier, multi-crop and multi-currency operations and is flexible and modular to support operations of any scale and size. General Manager (Operations) of Aitken Spence Technologies Mr. Jayantha Jayamanna, the chief architect of the solution said, “Looking back, I believe the time we spent in the field, working with our associates from plantations, including consultants, auditors and industry leaders is what made our solution rich while maintaining simplicity, and hence acceptable to the industry”. plantERM, which was launched into the market in July 2012, already boasts of one total deployment at Elpitiya Plantations PLC covering head office together with 13 estate and 19 factory locations that include tea, rubber and oil palm crops. “plantERM is based on mature Open Source technologies such as Java, Linux and PostgreSQL, which has helped us to maintain, user, application and data security, flexibility and a much lower TCO than competitor offerings” said Dr. Vickum Senanayake, General Manager (Sales & Marketing) of Aitken Spence Technologies. “By offering the solution as a SaaS (Software as a Service) on-cloud as well as on premise, we are better equipped to address the industry’s requirement for a scalable and cost effective solution, while minimizing the investment risks of our clients”, he added. 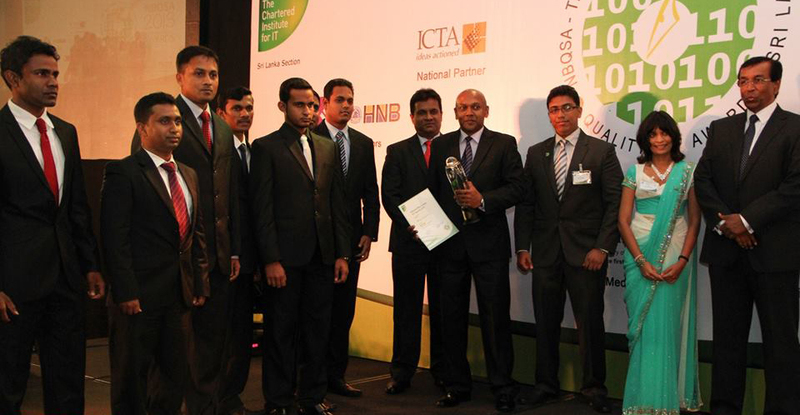 plantERM was also nominated by British Computer Society (BCS) The Chartered Institute for IT Sri Lanka Section, to be part of the Sri Lankan delegation competing in the Industrial Applications category at the Asia Pacific Information Communication Technology Alliance (APICTA) 2013 Awards, in Hong Kong. Speaking on the occasion, Director of Aitken Spence Group Ltd. and Aitken Spence Technologies (Pvt) Ltd., Mr. Dinesh Mendis said, “It gives us pride that our able and dedicated team has achieved significant recognition within such a short time frame. We are convinced that we will be able to establish plantERM in the regional and global plantations industry. We have already made a few key initiatives through collaborative engagements, and are confident, will bear fruit over the next six months to a year”. Leading conglomerate Aitken Spence PLC recorded a strong performance in the third quarter, interim results to the Colombo Stock Exchange (CSE) released on Friday revealed. The blue-chip’s financial results for the three months ended 31st December 2013 saw profit-before-tax surging by 47 per cent to Rs. 1.58 bn and profit-after-tax surged by 53 per cent to Rs.1.38bn, while profit attributable to shareholders rose by 54 per cent to Rs 1.1 bn. The diversified group’s nine-month results revealed profit-before-tax rising by 10 per cent to Rs. 3.5 bn and profit-after-tax increasing by almost 10 per cent to Rs. 2.9 bn, while profit attributable to shareholders was up by 11.2 per cent to Rs. 2.3 bn, while earnings per share increased by 11.2 per cent to Rs. 5.68. 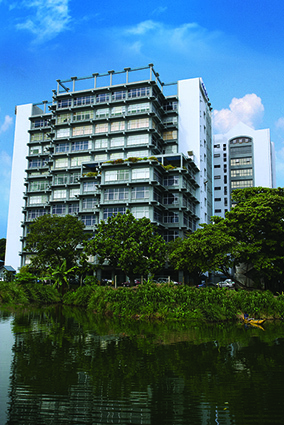 Aitken Spence has operations in South Asia, the Middle East, Africa and the Pacific. Listed in the CSE since 1983, it has major interests in hotels, travel, maritime services, logistics and power generation. The group also has a significant presence in plantations, printing, financial services, insurance, information technology and garments. Profit before tax from the tourism sector surged by 26.2 per cent to Rs. 2.3 bn while revenue rose by 10 per cent to Rs. 10.3 bn, for the nine months. The company recorded strong growth from its resorts and inbound travel business in Sri Lanka. Aitken Spence operates a wide portfolio of hotels and resorts in Sri Lanka, Maldives, India and Oman. Its travel arm, the largest in Sri Lanka, is a joint venture with TUI Travel. During the period Aitken Spence Hotel Holdings PLC., a subsidiary company entered into a shareholders’ agreement with RIU Hotels of Spain to build a 500-room luxury resort in Ahungalla, costing approximately USD 100m. Cargo logistics sector, which includes its international maritime services arm, recorded Rs. 545 mn as profits-before-tax, an increase of 29 per cent over the previous year, while revenue was up by 16.8 per cent to Rs. 5.1 bn. Aitken Spence is Sri Lanka’s largest logistics services provider and has port management services in Africa and the Pacific. During the period under review Aitken Spence acquired 51 per cent shares in Ports Terminal Limited., through a public-private partnership and took over the managerial and operational responsibilities at the Fiji Ports Corporation. into with the Ceylon Electricity Board. Subsequent to the balance sheet date, the 24 MW thermal power plant owned by Ace Power Generation Horana (Pvt) Ltd., was disposed. The Group’s services sector saw profits-before-tax growing by 18.5 per cent to Rs. 154 mn and revenue rising by 19% to Rs. 458 mn. The services sector includes financial services, insurance, elevator agency and technology businesses.